Each year, the International District Energy Association (IDEA) hosts a conference to discuss the innovations and solutions that are driving sustainable energy infrastructure on campuses. This year's conference will be held in Baltimore, MD. Campuses around the country are constantly looking for new and innovative ways to be sustainable. This year’s conference, Sharing Solutions, Sustaining our Future, is an exciting opportunity for the community to come together to share experiences and continue the conversation of optimizing the operations of campus energy systems. The Veolia-operated Baltimore district energy system is part of a city-wide operation connecting over 255 customers and providing energy across the city. 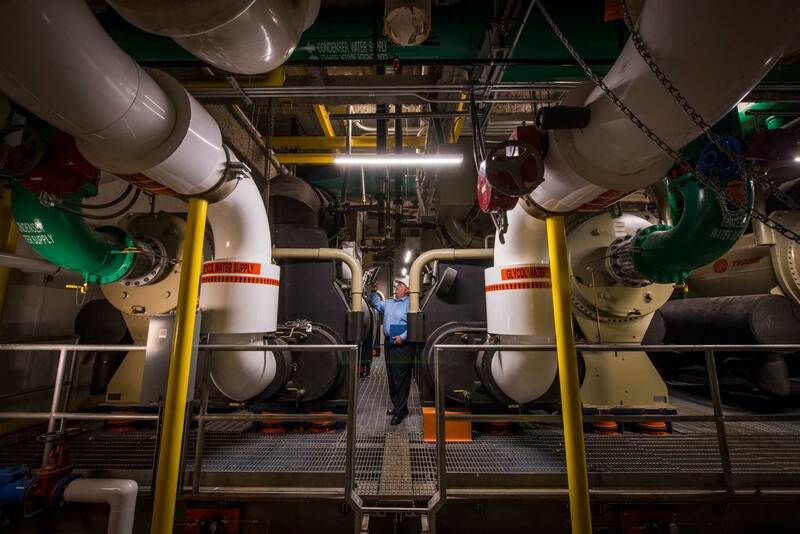 Interconnected with the underground district energy system is the 5,400 ton capacity Plant 1 facility, an efficient solution that reduces costs and enhances infrastructure reliability. Plant 1 provides chilled water to the Convention Center, Camden Station at Oriole Park, more than 50 major customers and over 12 million square feet of space in the city. 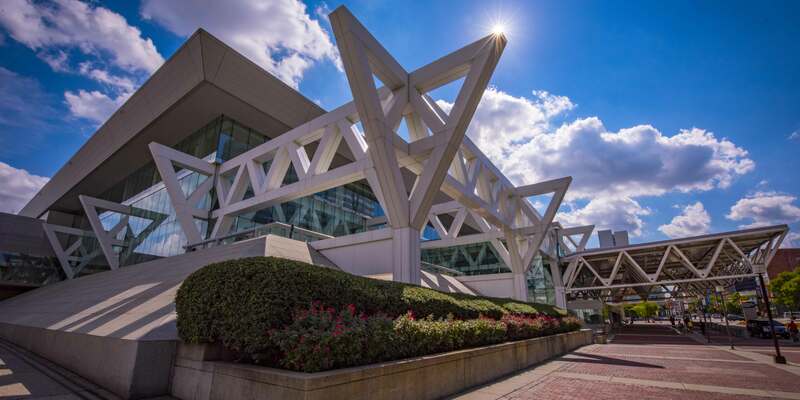 Located within the Baltimore Convention Center, the facility connects with three other chilled water plants to increase reliability and redundancy across the city for commercial buildings, government facilities and hospitals. Make sure you take a tour of the Convention Center Chilled Water Plant with us during the conference! Microgrids and distributed energy are continually discussed as key strategies for campuses to meet their energy requirements as well as their resiliency and sustainability goals. Through utilizing efficient technologies like combined heat and power systems and integrating renewable energy technologies like solar and battery storage, microgrids and distributed energy provide reduced energy costs and improved reliability. Microgrids and distributed energy are becoming increasingly accessible, too, as technology costs reach scale and state, and utility policies adapt to encourage development, like in Trenton, New Jersey. They are also becoming more accessible due to an emergence of new business models, like “Microgrid as a Service,” which can eliminate barriers caused by upfront capital costs and therefore streamline project delivery. Smart metering, analytics and control systems are a core part of the energy strategy for today’s campuses. Advanced metering and control systems, combined with machine learning algorithms, allow operators to optimize plant operations to reduce energy costs and prevent maintenance issues before they occur. Centralized remote plant operations are the next evolution of this concept. In Baltimore, for example, Veolia manages a centralized operations control center where it monitors over 50 customer locations and remotely operates several facilities in the region.